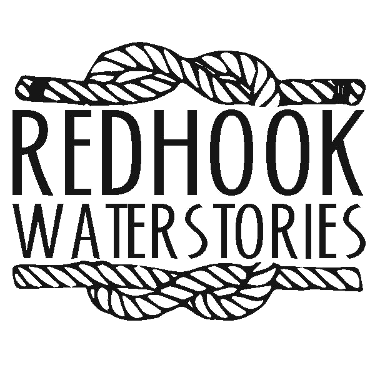 This is a complicated topic, so for this Red Hook WaterStories 1.0, we offer introductory info and the promise that more content will follow. This is an ongoing project! Note, this is a water-themed history because PortSide NewYork’s mission relates to the waterfront. We expect that most of the major groups who lived and worked in Red Hook will have a connection to the waterfront and will thus be included; but our research is not done. After the Native-American Lenape period, Red Hook has a long history of being a mixed-race, ethnically diverse place. The Dutch start this diversity because the Dutch colonies included people of multiple nations, races, and religions. This is partly due to a tolerance in the Dutch culture; it is also because their colony is founded for commercial reasons, it is a trading outpost not a cultural settlement. In comparison, Puritan New England is founded by one religious sect, intolerant of others, that is creating a colony for that culture. The Dutch also introduce slaves, so blacks are part of the mix early on. Red Hook is a mostly blue-green blue space with tide mill ponds, farms, marsh and open water until around 1850 when a massive manmade harbor and complex or warehouses called Atlantic Dock is built. (Remains of that live on as the contemporary Atlantic Basin.) Atlantic Dock triggers industrial and residential developments, and the pace of growth is intense for 100 years, very intense. For example, Robins Dry Dock & Repair (the precursor to Todd Shipyard) had about 2,000 employees in 1939. Four years later, they had 19,617. That is more than Red Hook’s population today – in just one shipyard. For about a hundred years after the end of the mill pond era, Red Hook becomes a hard working, and often hardscrabble place, awash with diverse people, many of whom are transient: thousands of sailors arriving from international ports, the Eastern seaboard, and upstate along with visitors and commuters from this harbor. Think of it as a maritime Times Square. Red Hook was a “sailortown.” Until the shipping container was invented (1960s), ships could spend weeks in a port unloading and reloading, and sailors on leave spent time ashore. Also, back then, many sailors’ contracts ended with a voyage, and the sailors would stay in port until they could find their next ship. Boarding houses, hotels, taverns, entertainment palaces and brothels catered to (and bilked) the sailor, fresh off the boat with money in his pocket. In the words of on our Red Hook WaterStories advisors Johnathan Thayer, “sailortowns saw constant turnover in population and fostered a sense of “otherness” relative to the rest of the city—a characteristic of portside areas and seafaring culture which continues to shape the urban landscape to this day.” A sense of “otherness” DOES define Red Hook to this day. There were also transient maritime families. 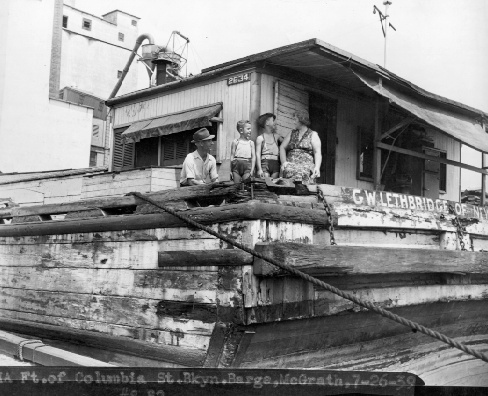 After the opening of the Erie Canal in 1825 and through WWII, whole families lived on the barges they worked. Barges were staffed by families - which is no longer the case. 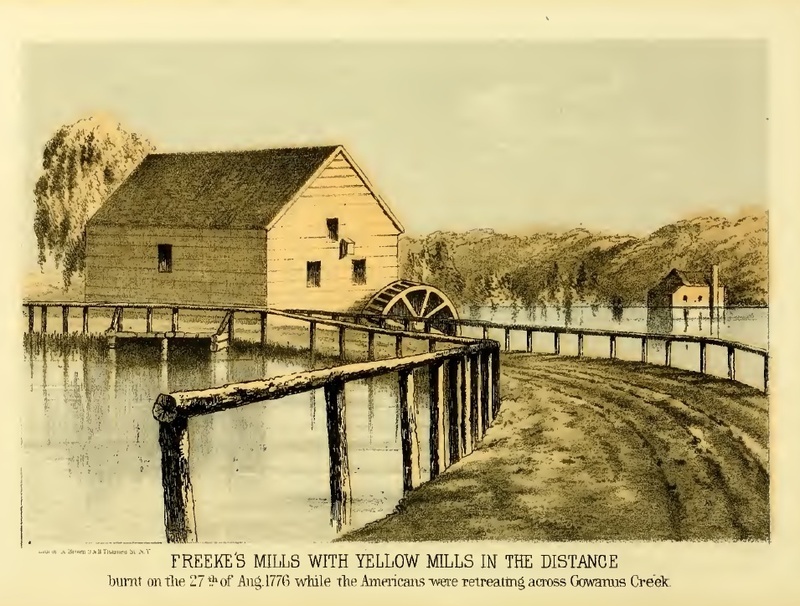 Many barges that plied the Erie Canal wintered over in salt water Red Hook while the upstate fresh water canals were frozen, their children attending Red Hook schools. 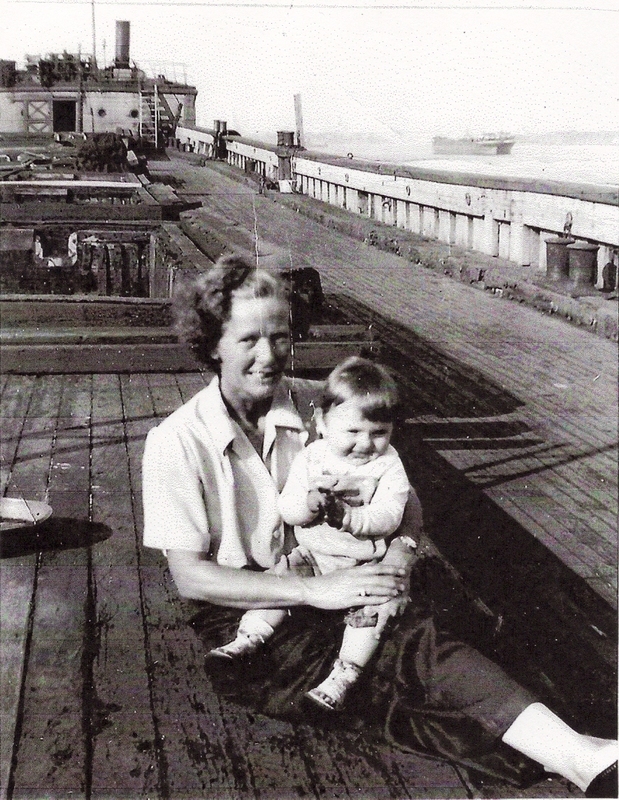 During WWII, such families were working the dangerous coastwise trade where vessels were attacked and sunk by German U-boats. More about them in our blogposts about Don Horton. Lastly, there were lots of transient New Yorkers due to how much the water was used for transportation – until recently. Near the shantytowns along Gowanus Bay, penny ferries and rented boats were common. From the 1800s well into the 1900s, many businesses shipped supplies and their manufactured goods locally across the harbor, and businessmen in the marine industry would hop on a boat in lower Manhattan to get to Red Hook shipyards. In 1834, the Hamilton Avenue ferry terminal opened to service Green-wood Cemetery, since many prominent dead were to be buried there. Massive funeral processions came across on the ferry, as did many weekend visitors, since Green-wood was a popular destination for carriage rides during the 1800s. 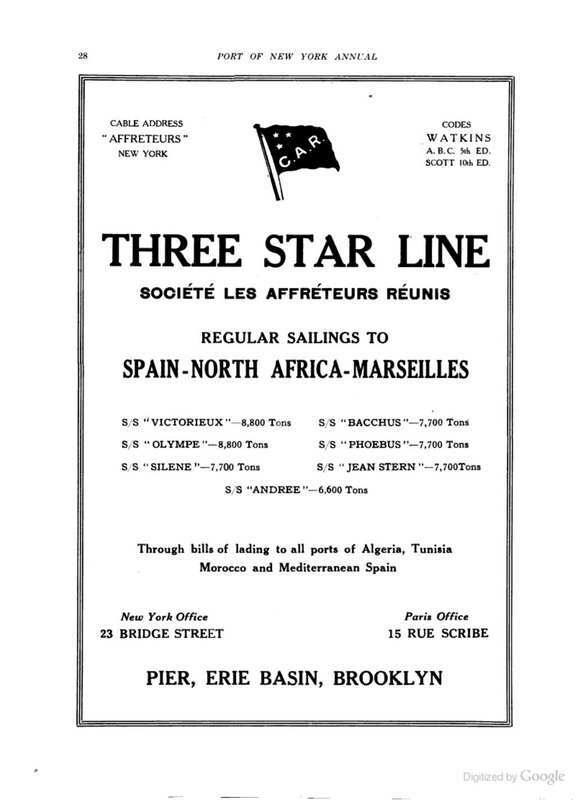 Atlantic Dock actually provided the bond to start this popular ferry service, a sign of how linked maritime players were to the non-maritime world. The presence of the Hamilton Avenue ferry enabled the development of Carroll Gardens since the new brownstone residents would be just a short ferry ride from the Wall Street area. That led to daily commuters flowing through the area. “Ferry Place,” an entertainment district, grew up along Hamilton Avenue near the ferry terminal. 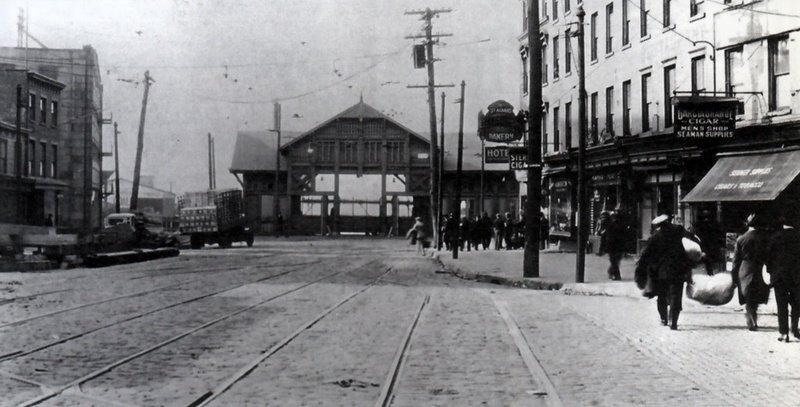 At the other end of Hamilton Avenue in Red Hook, along GowanusBay, near a penny ferry, there was rowdy entertainment in the shantytowns until the 1890s. Our research suggests that, over the years, Red Hook attracts a great number of strivers, people who come here to execute a vision in and about Red Hook. Some are immigrants from overseas. Some move here from upstate New York (Colonel Daniel Richards, James Stranahan) Some become prominent (Colonel Daniel Richards, James Stranahan, James Beard, Greg O’Connell). Some do not, such as shanty-dweller Louis Heineman; but Heineman’s dogged persistence feels like a very Red Hook story. [Note, the article discussing Heineman conflates squatters and shantytowns. 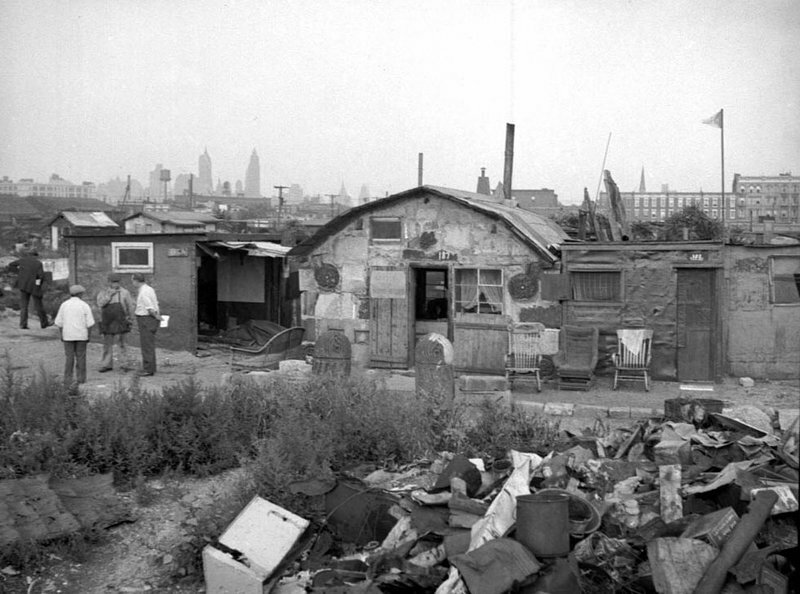 Shantytown residents in Red Hook were usually paying “ground rent,” they were not squatting. For more, see our article "Shantytowns, affordable housing, back in the day." Lastly, much as been written about crime in Red Hook, but in focusing on that vivid part of the history, much has been overlooked about other businesses and residents. Since many have focused on crime, we are leaving the criminal sector to future updates of this project. Below is the list of major ethnic groups we have identified at this time, roughly in the order they arrive. 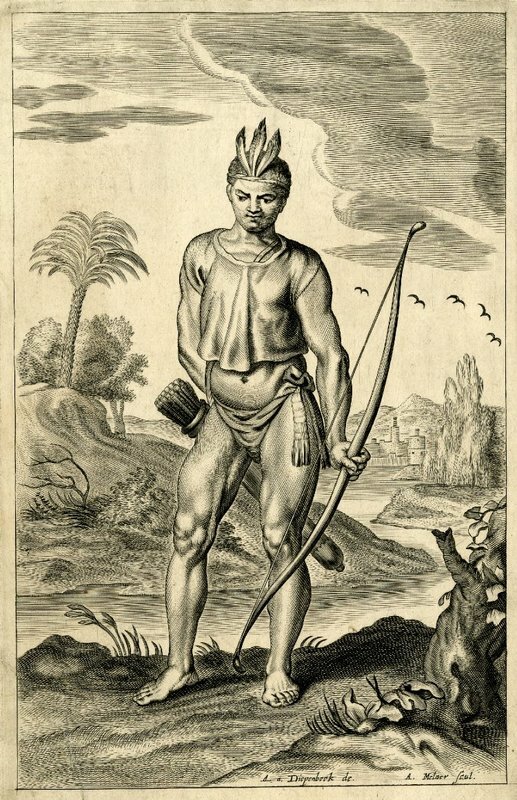 The Lenape use what they called Saponickan or Sapohanican, then mostly marsh or water, for seasonal farming (corn), fishing, shellfishing and hunting waterfowl. They create large oyster middens (piles of oyster shells) along the south side. In short, the Lenape work or summer here. This is not a year-round residential site. The Lenape create a long path which becomes Red Hook Lane that runs from Red Hook to downtown Brooklyn. One block of that survived into 2016. The first colonists here are sponsored by the West India Company in the Netherlands. Henry Hudson was English, most colonists are Dutch, but the group includes other Europeans and some people from North Africa. According to the massive 1867 history of Brooklyn by Henry R. Stiles, the Dutch stamp remains strong into the 1800s. Stiles says that Dutch books and language instruction are prevalent into the mid 1800s. This legacy is evident in many Dutch names of Red Hook streets and the name of the place itself. Roede (red) Hook (hook) is the Dutch name for Red Hook, so named due to the red soil and the point of landing sticking out into the UpperBay. The Dutch skills in water management shape Red Hook physically for 200+ years. The Dutch bring make tide mill ponds and canals, both of which define Red Hook until the construction of the Atlantic Dock complex in the late 1840s. Black people are among the first arrivals during the Dutch colonial period. There are free blacks, and the Dutch also introduce slavery. Initially, the enslaved people are from Africa; but the Dutch don’t find them compliant enough, so they switch to shipping slaves from the Caribbean. During the early Dutch slavery period, from 1640s onwards, about a third of the population is black. The economy in this region depended on slavery in many ways, and the rollback of slavery was slow and complicated. In the Red Hook-Gowanus area, enslaved blacks build one of the tide mill ponds for Coles Mill (memorialized by a very short Coles Street). 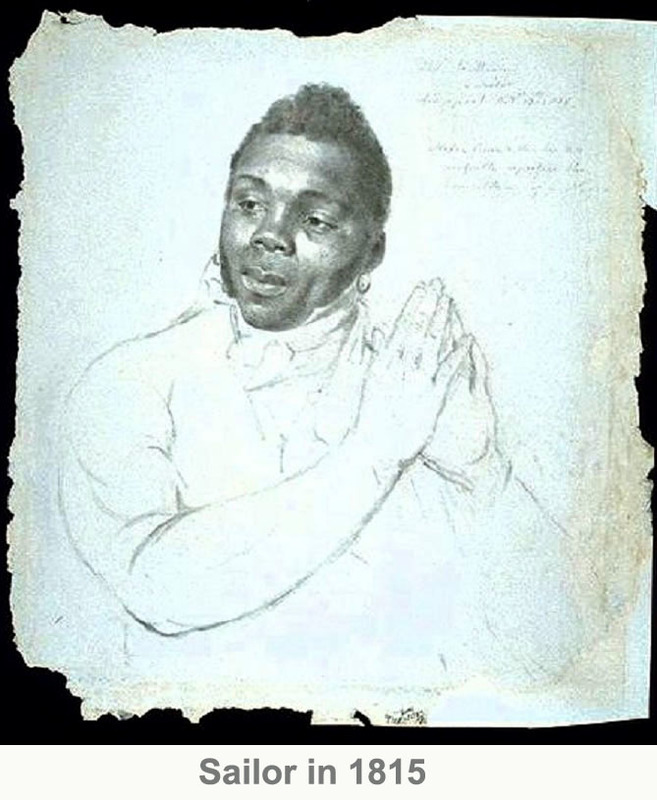 Black men are a significant presence working as sailors on ships on the eastern seaboard until the advent of Jim Crow laws; see the essay "Blacks on the New York Waterfront During the American Revolution" we commissioned from Charles Foy. The waterfront figures large in emancipation as a place where escaped men can readily find work (ships are rather multi-cultural places) and later as a route in the underground railroad. Blacks were also very present in the Menhaden fishing fleet and in oystering. 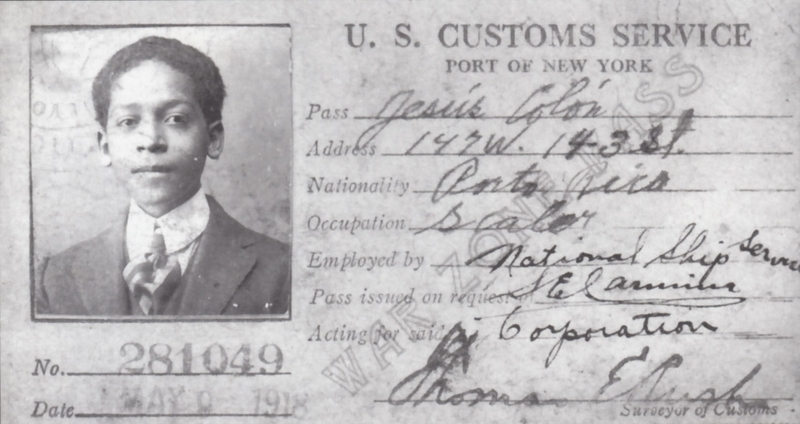 We have not yet done census research for Red Hook to know the status (enslaved, free, native born, nation of origin) for blacks here – for the eras that have census documents to study – but it is clear that blacks have a long history in Red Hook. A significant event in the devolution of slavery occurred in Red Hook, in Atlantic Dock, in 1860, when the slaver ship ERIE was sold. President Lincoln sought to send a message that laws against shipping in slaves would be enforced, the captain of the ERIE Nathanial Gordon was hanged and his ship sold. 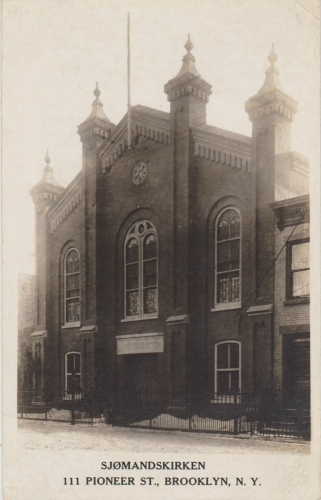 The first Norwegian Seaman’s Church still stands at 111 Pioneer Street. Norwegians first arrived in New Amsterdam during the Dutch colonial period. In the 1850s, they become a major immigrant presence, and the community is centered in Brooklyn and Red Hook in particular. Norway then - and now - is a major maritime nation, and Norwegian immigrants bring those skills with them, and many work waterfront jobs ashore and afloat. Usually men come first and later send for women and children. Initially, many of the men worked here for while and returned to the home country, as did some of the first Italians to arrive. In 1915, the 4th Avenue subway line opens and many Norwegians move from Red Hook to better housing in Sunset Park and Bay Ridge and commute to their Red Hook jobs. 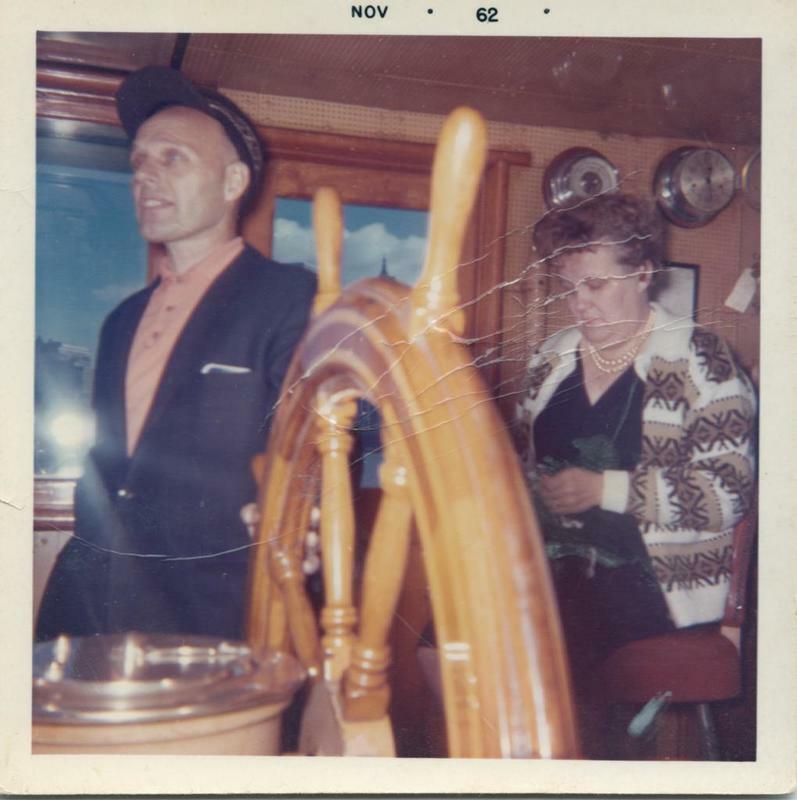 Many Norwegians and Norwegian-Americans worked on our MARY A. WHALEN. Norwegian accents were prevalent in the tug, barge and tanker fleets in New York harbor until the 1980s. There is a lot of documentation about Norwegian Red Hook, the challenge is to edit and synthesize. We’re on it. From the middle of the 1800s until the hideous fire aboard the General Slocum in 1904 which devastates and scatters the German community, German communities are a visible part of the fabric of Manhattan and Brooklyn. 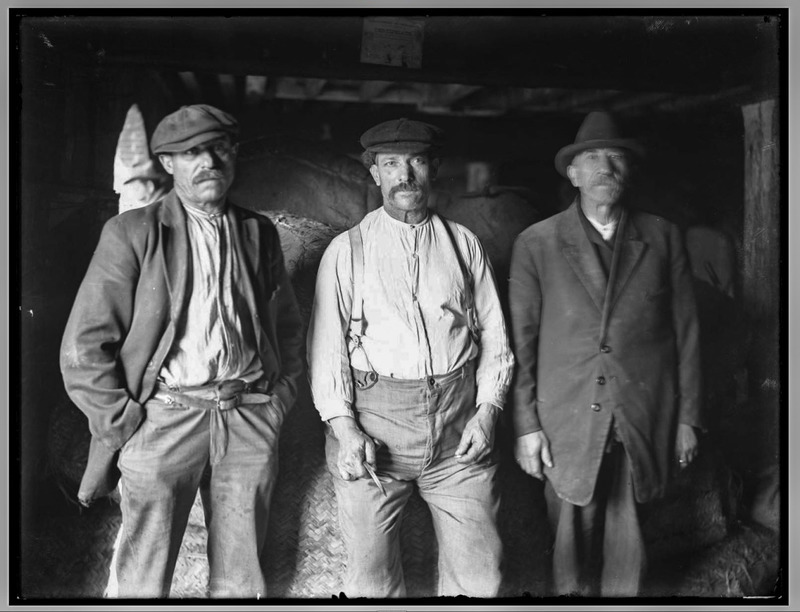 According to Maggie Blanck’s deeply researched website, “In the mid to late 1880s, the foreign born population of Red Hook was predominately Irish, followed by German. In 1886 the Brooklyn Eagle Almanac gave the following statistics based on the 1880 census. Brooklyn had a population 566,663 - 177,694 were born in foreign countries… a total of 55,339” from various German-speaking regions (there was no country of Germany yet). That makes Brooklyn about 10% German and the Germans about 31% of the immigrant population. There is considerable friction in Red Hook between the Germans and the Irish since Germans are shipped over from Germany to break a strike by the Irish building Atlantic Dock in the 1840s. New York City’s Puerto Rican community starts in Red Hook because ships from Puerto Rico (Porto Rico in the early days) dock in Red Hook. One of them SS CAROLINA is memorialized in song. Jesus Colon, who becomes a significant activist, arrives as a stowaway on the SS CAROLINA when he is 16 years old. When the first Puerto Ricans arrive here, they Ricans are foreigners, coming from a Spanish colony. In 1898, Spain cedes the island to the US. In 1917, the U.S. Congress passed the Jones–Shafroth Act, granting Puerto Ricans U.S. citizenship. After establishing a strong community in the Red Hook area, Puerto Ricans spread out around the city, especially in El Barrio or Spanish Harlem. There is a strong Puerto Rican community centered around Columbia Street north of Hamilton Avenue that maintains a sense of that history well into the 1970s. Some of their members are strong voices resisting a 1970s plan to build a containerport along Columbia Street. Today, there are still many Puerto Rican families in Red Hook who have been here for generations. People tend to associate Italians with working on the docks, but they were not the first ethnic group to work in stevedoring and shipping. They had to break into the industry. Their story on the waterfront is long, deep and complicated. We are working on this story and need to do more research before writing further on this group. Please get in touch if you have knowledge on this subject. Spaniards are a micro-immigrant group in New York City. There was a colony in Brooklyn centered in BrooklynHeights that sprinkled into Red Hook. Their waterstories include both how they arrived by ship and their work in the marine industry. They were here because ships from Spain docked at the foot of Atlantic Avenue. A remnant of that Spanish community is Montero’s bar on Atlantic Avenue. An example of Spaniards in the maritime industry is GMD Shipyard (for General Marine Diesel). The firm started in Red Hook and now which runs the graving docks in the Brooklyn Navy Yard. We have some information and need to do more research before writing further on this group. Please get in touch if you have knowledge on this subject. For millennia, Greeks have been major mariners and Greeks bring those skills with them to Brooklyn. Greeks were - and are - involved in maritime businesses in Red Hook (and New York harbor). We need to do more research before writing further on this group. Please get in touch if you have knowledge on this subject.